Bandwidth and resolution have become increasingly critical in communications, military systems and test equipment, increasing the demand for Wenzel’s low noise, high stability oscillators and rack-mounted sources. In 1998 Wenzel Associates introduced the Blue Tops system building blocks to offer oscillator users well-characterized, low noise components, which improved the time to market for new frequency based systems. 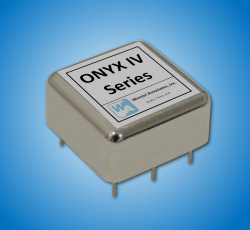 World-class performance and innovative design characterize Wenzel Associates, Inc. as the leader in low phase noise crystal oscillators, synthesizers and frequency related modules. Since 1978, the company has defined the state-of-the-art in ultra-low phase noise while providing system manufactures with the highest quality, cost effective frequency components and instruments. 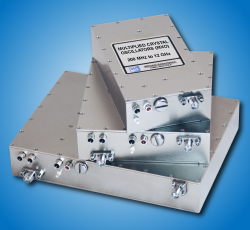 Bandwidth and resolution have become increasingly critical in communications, military systems and test equipment, increasing the demand for Wenzel’s low noise, high stability oscillators and rack-mounted sources. In 1998 Wenzel Associates introduced the Blue Tops system building blocks to offer oscillator users well-characterized, low noise components, which improved the time to market for new frequency based systems. The Blue Tops line has grown to include amplifiers, multipliers, regenerative dividers, PLL’s, and filters for systems of all types. Wenzel has integrated Blue Tops technology into ultra-low noise and low spurious frequency sources and synthesizers to 22 GHz. An increased awareness of the effects of vibration on system performance came with improvements in phase noise. Wenzel Associates has become a leader in low noise under vibration through extensive work with special custom crystals, vibration isolation systems and phase locking techniques for high system integrity under extreme environments. Wenzel provides phase noise testing under vibration to several large military manufacturers.